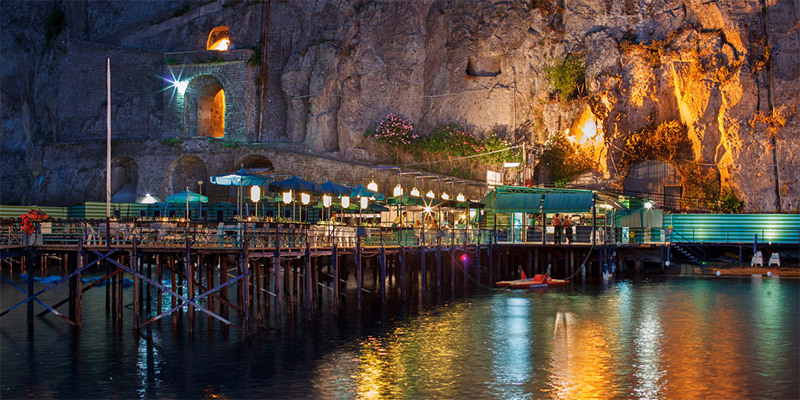 Sun glasses, swimming costume, lotion and some Euros are all you need for a day’s relaxation down where the Bay of Naples caresses Sorrento. 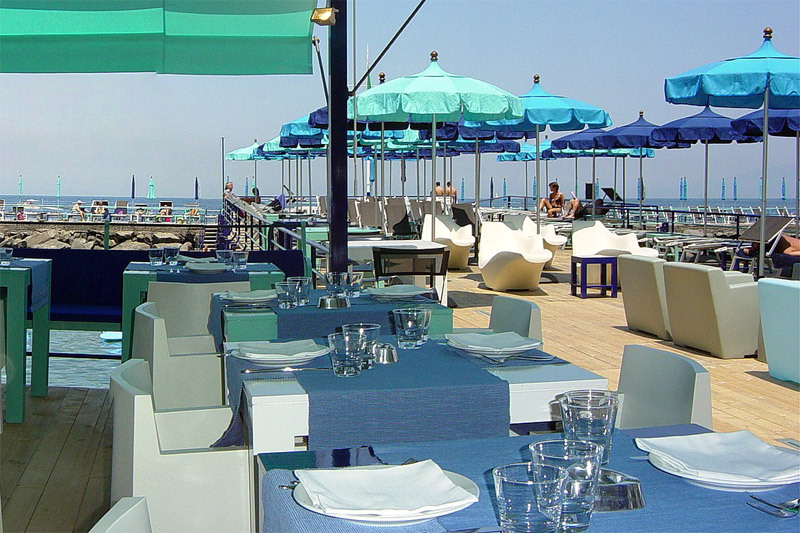 Marameo beach, restaurant and lounge bar provides a very comfortable and convenient location for those who enjoy the sounds and breeze from the sea. Visitors can take the public lift from the Villa Communale, located in the heart of Sorrento, down to the sea shore. A few steps along brings you to Marameo’s entrance, where fresh towels and smart changing rooms await. It has all the facilities you require for topping up your tan and swimming. Order snacks and cocktails from your lounger or choose a fresh seafood dish at a table in the restaurant area. Every sun lounger offers a choice of wonderful scenes. Grand majestic hotels perched on the cliffs above share the same view of the coastline stretching from Sorrento, Sant’Agnello, Meta di Sorrento and beyond. In the opposite direction Capri hides teasingly behind the heading of the peninsula. Across the bay Vesuvius dominates the skyline with Naples cautiously creeping up its slopes. Time perhaps to plan a visit to the volcano’s crater or Pompeii, Herculaneum and even Naples itself, maybe tomorrow? Marameo has a pleasant, stylish atmosphere during the day. Transforming at sunset into an intimate setting for a candlelit dinner. We recommend visitors take the lift, or walk down, to the port and view the location and its facilities. Members are eligible for a special rate.